You know pizza. You know your business. And you know your customers. Or do you? 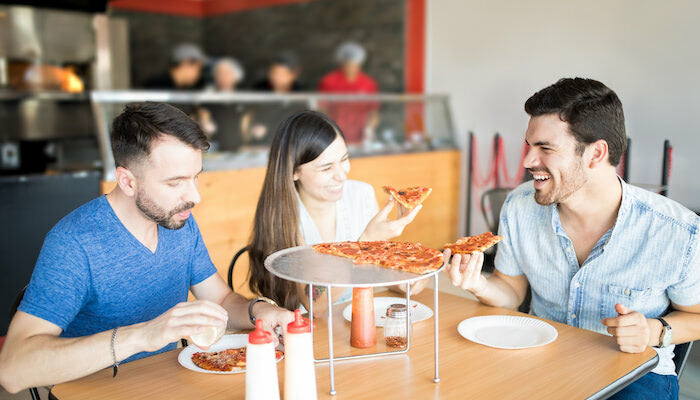 Some powerful statistics from a recent survey show clear trends that customers demand from a pizzeria experience. Are you giving them what they really want? Before we jump into specific pizzeria numbers, consider this information about how customers select small businesses. Perhaps it’s no surprise that word of mouth is the most influential factor. According to Nielsen, 92% of people trust the word of friends and family over any advertising type. On word of mouth’s heels? Reviews and articles. A study by BrightLocal shows that 88% of consumers trust online reviews as much as personal recommendations. And then, there’s social media. According to Market Force research, 81% of people said their purchasing decisions are directly influenced by recommendations/posts of their friends. So, what are customers demanding from pizzerias? 92% rank food quality as the most important factor affecting their enjoyment of a pizzeria. It’s also the most important reason (90%) why they share their opinion with friends and share it on social media. 50% of unhappy customers tell friends and family about poor customer service they experienced. And 85% say that it takes only one or two negative experiences to stop visiting a pizzeria, making every customer contact critical. 71% of pizzeria customers consider themselves “regulars” at their local pizzeria. This return business is a result of consistent food and service, a valuable part of the pizzeria experience. Want to dig into additional timely stats? Review our infographic, Fully Loaded: The State of Pizza Nation in 2019, a quick-read resource including an industry forecast, trending toppings, favorite crusts and even pizza holidays you can celebrate. What one factor can impact everything customers care about? 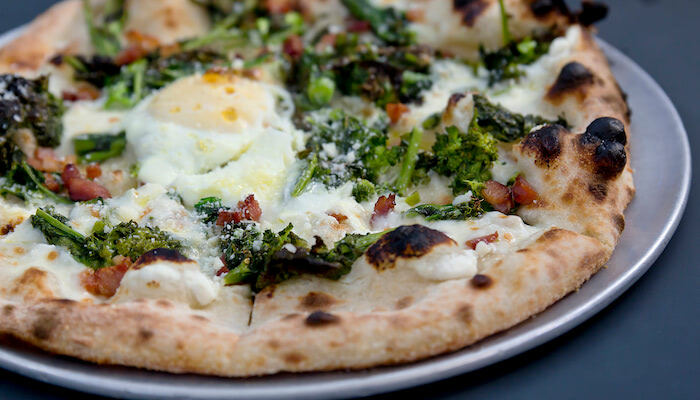 Making your dough from scratch may not be the most cost-effective option for your pizzeria. It may make more sense to use quality pre-made crusts or dough balls. Quality: Exceptional flavor and texture meet customer quality standards; plus they’re highly versatile, giving you a starting point for everything from a variety of pies to appetizers like garlic knots and pizza fries. Customer Service: Pre-made dough balls save on preparation time, cutting customer wait times and ultimately boosting their overall experience, especially during peak business times. Consistency: Reliable product consistency across an operation’s multiple locations is a must-have to meet customer expectations; pre-made dough balls make it easy to achieve. Are pre-made dough balls cost-effective for your operation? You can give customers everything they want, but the cost needs to be right. So, let’s check this critical point and better understand how decisions like making your own dough could impact costs and profitability. Our online interactive cost calculator helps you identify the cost factors that go into making dough: ingredients, labor, overhead expenses, waste, etc. 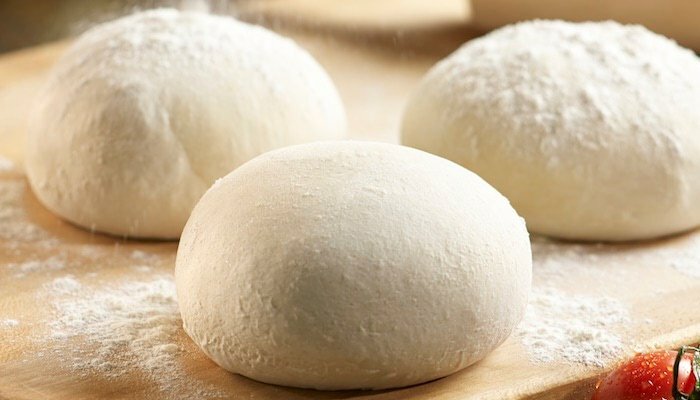 Take these valuable insights to your distributor and discuss pre-made crusts or dough balls from Alive & Kickin’ Pizza Crust.